YouNow is a live broadcast social media app company that relocated to Times Square. 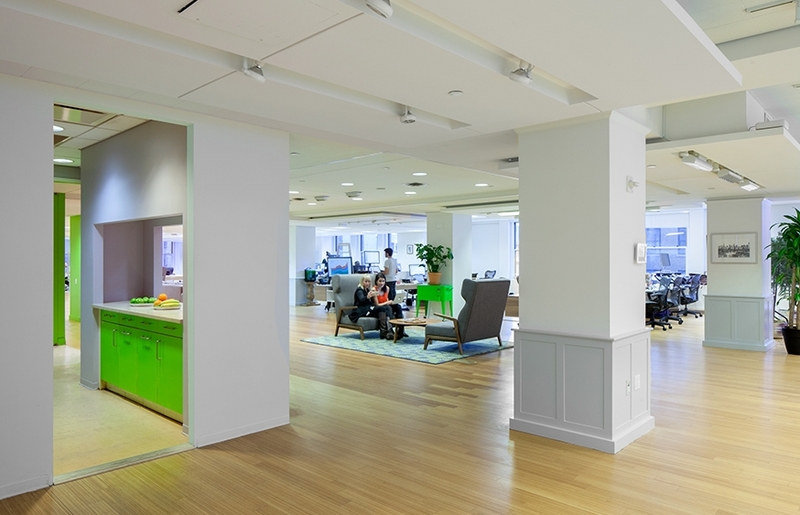 In addition to wanting a new headquarters that feels open, airy, young, and vibrant, these clients wanted an office that could offer its user base a unique opportunity to leverage their app product in their new location. 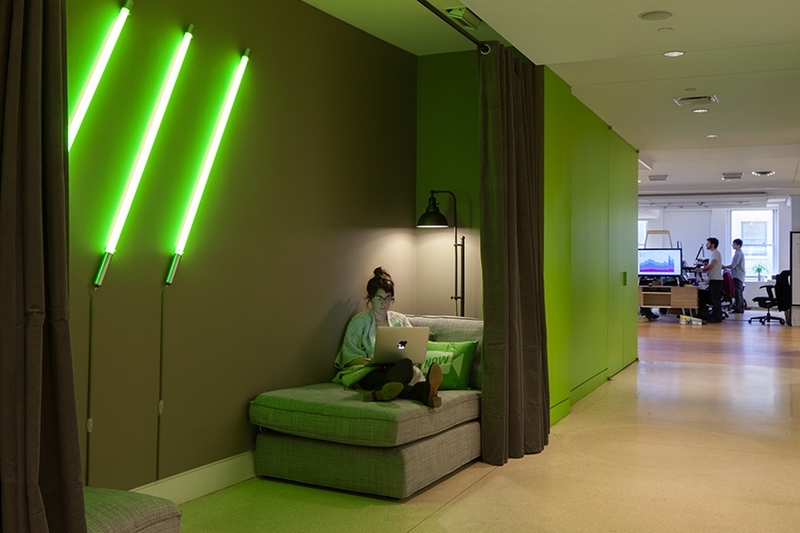 We designed the office to include a performance stage that overlooks Times Square, but this stage is unique in that it offers YouNow talent a physical broadcasting platform for their virtual audiences. The open office can be reconfigured to focus on a performance event, yet in its everyday configuration the space offers staff dining, town-hall meeting assembly and informal 1-on-1 lounging. Workstations were designed to accommodate the company's working group configurations such that each pod of desks has an integrated breakout lounge and presentation area equipped with technologies for real-time performance feedback. Small private nooks, phone booths and lounges are distributed throughout the office to provide staff with productive breaks from their workstations.